Mike Manley on Saturday became CEO of Fiat Chrysler Automobiles, following the sudden departure of Sergio Marchionne for health reasons. So who is Manley? And is he ready to lead the world's seventh-largest automaker? One thing is certain, says one of his former colleagues: Manley is a "solid dealer guy," primarily because that's how he started. He also has received intensive on-the-job training at Marchionne's side for nine years and has years of practice running operations around the globe. A native Brit, Manley, 54, has run FCA's most important brand, Jeep, since Fiat gained control of Chrysler in June 2009, and added responsibility for Ram in 2015. Manley gathered his executive experience climbing the ranks of DaimlerChrysler, which he joined in 2000. But he started his career in 1986 with Swan National Motors in Aberdeen, England. He worked there 14 years in various capacities and for different brands and dealerships across England. DaimlerChrysler hired him in 2000 as an operations director for Mercedes-Benz Direct, but he soon was given a second role, as head of network development for DaimlerChrysler in the U.K. In 2003, Manley came to the U.S., where he continued to work within the automaker's dealer network. "Mike's the guy who's really keen on making sure the dealers are positioned properly," said Peter Grady, retired head of FCA's dealer network. "In fact, in the early 2000s, he was the guy responsible for the dealership makeovers, for the arch." In 2009, as Chrysler's fate rested with U.S. government officials and a bankruptcy court, Manley's professional fate rested there as well. When Chrysler emerged, alive but under Fiat's operational control, Marchionne chose Manley -- who had been executive vice president for international sales and global product planning operations -- for his new company's most vital assignment: taking Jeep global. Jeep, Marchionne often repeated, had been the "crown jewel" in Fiat's convoluted acquisition of Chrysler. The SUV brand's success was the linchpin of the combined company's plans to first return to profitability and then become a "war machine" of making money, the Italian-Canadian CEO said. Given the keys to Jeep, and limited only by the company's scant resources at the time, Manley set about fixing the brand and taking it to the rest of the world. As part of a massive product revamp in 2010 and 2011, Jeep launched a redesigned Grand Cherokee with the new Pentastar 3.6-litre V-6 engine. Manley followed quickly with a revamp of what he calls Jeep's second halo vehicle, the iconic Wrangler. His designers fixed the Wrangler's interior shortcomings and replaced its former underpowered engine with the Pentastar. Manley and design chief Ralph Gilles breathed fire into Jeep's top designers' and engineers' ability to showcase their off-road chops -- and their creativity -- each year at the Easter Jeep Safari in Moab, Utah. They didn't disappoint, rolling out a half dozen or more curious one-off concepts each year for the annual off-roading event in what Manley repeatedly said was "one of the most important things we do." He also set about to fix mistakes: namely, Jeep's badge-engineering exercises in the waning days of DaimlerChrysler that produced the original Jeep Compass and Patriot. The Patriot eventually was dropped and the Compass was freshened and then redesigned into a product that could be sold in South America, Asia and Europe, as well as in Jeep's most important market: the U.S.
Manley still believes Jeep holds the financial keys to FCA's future and shared Marchionne's vision that one in five SUVs sold worldwide should carry a Jeep badge. Manley was handed responsibility for running FCA's Asia Pacific region as well as Jeep in 2009, and he kept up a grueling travel schedule in that role for years. 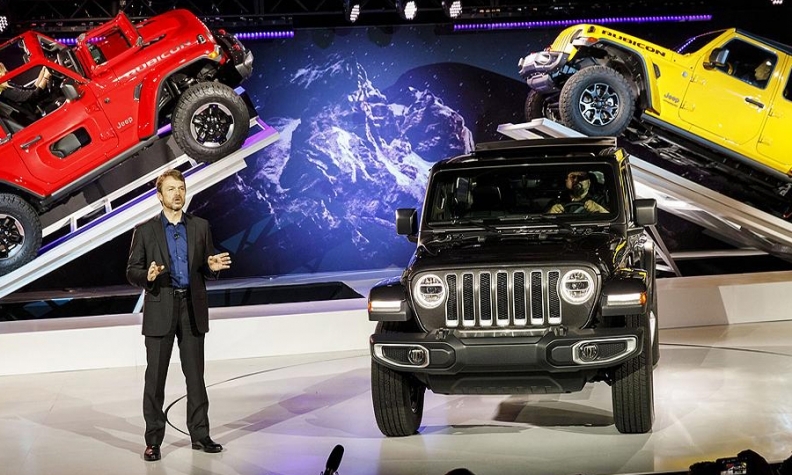 He expanded Jeep's footprint in China and worked closely with FCA's partner there, Guangzhou Automobile Group. He also oversaw Jeep's return to India. Grady, who worked beside Manley for several years on FCA's Group Executive Council, the company's highest decision-making body, predicted FCA will be in good hands under Manley. "He's a solid dealer guy. He's a solid operations guy. He pays attention to the details," Grady said. "The dealership network should be pretty happy about that. Mike believes in the network."